The Independent Women’s Cinema Magazine “Cinemakers” published an article about my collaboration with Rosely Conz in the piece Terrablue. 06/11/2018 Presenting the Lecture Demonstration “Blurring the Lines/ the Power of Collaboration” at Universidad de Jalapa, Veracruz, MX. 05/15/18 Co-producing Sans Souci Festival at Roehampton University, UK. 04/27/18 TerraBlue presented during the Lecture Demonstration “Blurring the Lines/An Art Exploration” at the TXST Hispanic Policy Network Symposium. 04/16-17/18 An excerpt of the screendance version of WECreate Ice will be presented at Iuav University of Venice, Venezia VE, Italy. The Italian cultural association VeNe and the international research collective futuremellon/not yet art in partnership with the Theatre and Performing Arts Program-IUAV University of Venice organize an introductory event that seeks to promote the art, practice and theory of screendance. 03/14 -14/18 Teaching Screendance master classes at Hope University’s Dance Department, Michigan. 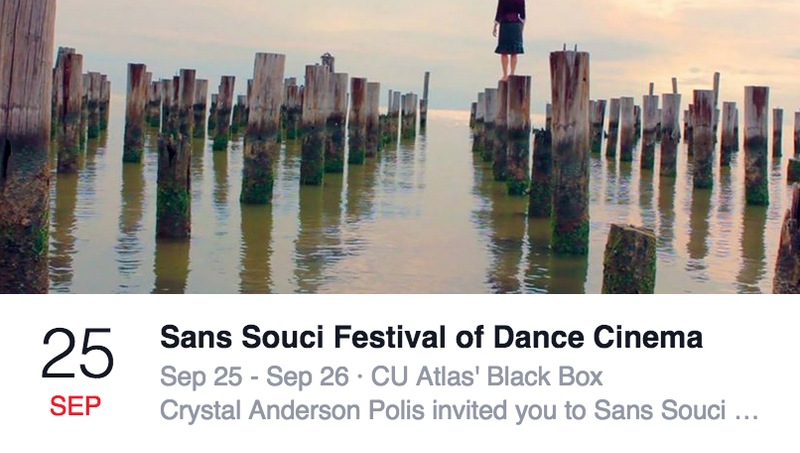 09/16- 09/17 Producing Sans Souci Festival of Dance Cinema XIII, at the ATLAS Institute, Boulder, CO.
10/17 Workshop “Creating dance movement for the camera” with MFA students. 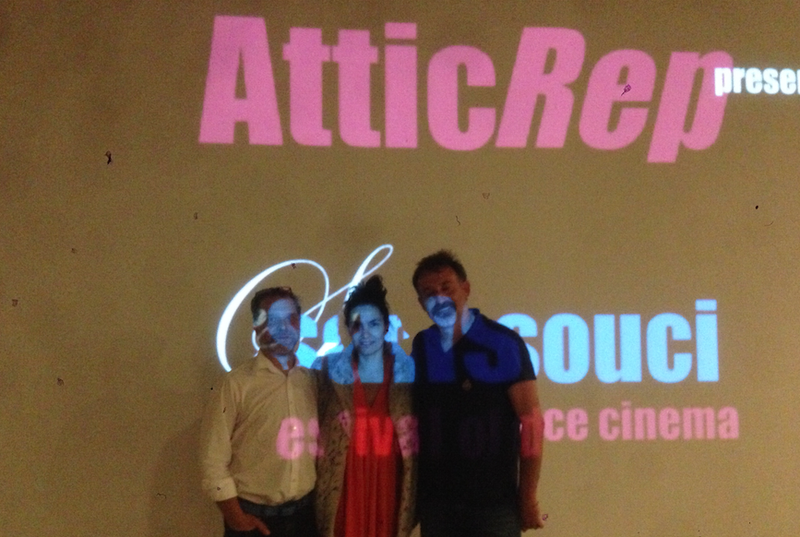 09/25- 09/26 Producing Sans Souci Festival of Dance Cinema XII, at the ATLAS Institute, Boulder, CO. 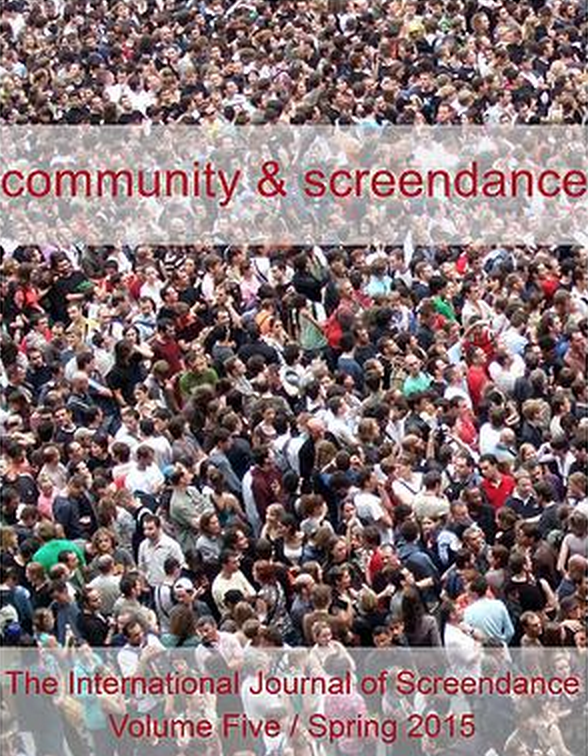 The Article “Being a Video-Choreographer: Describing the Multifaceted Role of a Choreographer Creating Screendance” was published in the International Journal of Screendance, vol 5. This is a conversation between Heike Salzer, Artistic Director of Salts and Ana Baer, Artistic Co-Director of the Sans Souci Festival of Dance Cinema. They talk about the creative process of a videographer, the Sans Souci Festival, and the importance of screens, audiences and legacy. Artistic Residency 05/11/15-05/22/15 choreographing “In a Wink on an Eye” with Teesside University’s Dance Program for the Creative Arts week. 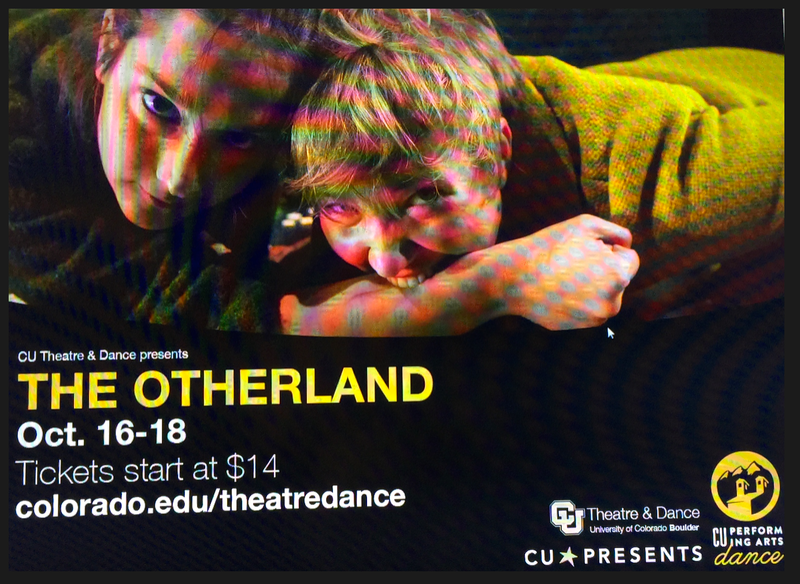 February 8-14, 2014 Awarded the Academy for the Visual and Performing Arts’ Guest Artist Initiative grant, to hold an Artistic Residency at Texas A&M University – Department of Health and Kinesiology. October, 2013 the situation room and fragility were shown October 11 during the Presentation “Creacion Coreografica a partir de Espacios Alternativos” at the University UNIACC in Santiago de Chile. University UNIACC in Santiago de Chile. 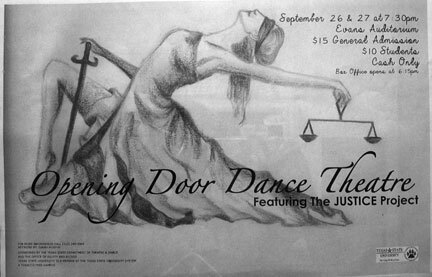 September, 2013 the situation room and mujeres de juarez were presented September 26-27 during Opening Door Dance Theatre, both pieces incorporate live dance and projecting images. 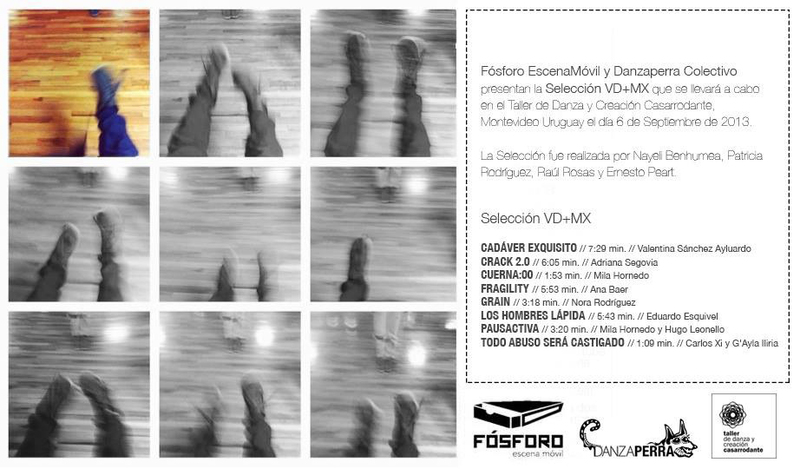 fragility selected to screen during Selecion VD-MX September 6, 2013 in Casarrodante, Montevideo Uruguay. 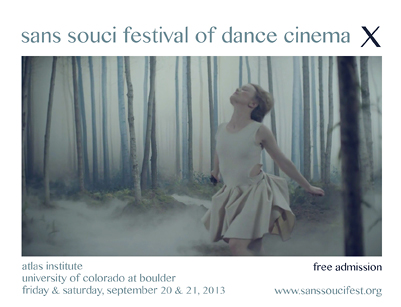 Producing Sans Souci festival of Dance Cinema at the ATLAS Institute, Boulder CO. (September 20-21).